The ‘implementation agenda’ called for in the lead up to the next review of the Human Rights Council in 2021 is a lofty yet largely unrealized ambition. On February 28 this year, almost three years on from its conception, a High Level Panel convened at the Human Rights Council to discuss how this agenda might work in practice, suggesting that it has yet to achieve meaningful change. However, NMIRFs still encounter many of the problems arising from an ad hoc approach, notably around data collection and management of multiple recommendations that contribute to the perceived reporting burden, especially among Small States with fewer resources. Globally there are currently 595 overdue Treaty Body reports, around half of which are more than 5 years late. Over 80% of States have at least one overdue report. Overdue reporting is symptomatic of a lack of implementation planning and coordination and as a State receives additional sets of recommendations, the burden grows and it becomes increasingly difficult to get back on track and stay there. NMIRFs are an excellent vehicle for monitoring and coordinating implementation of human rights, but of themselves they are not equipped to manage hundreds of overlapping recommendations, all of which require data collection and reporting at different times. Little attention has yet been given to what tools can be developed to make NMIRFs even more effective in their work. Paraguay’s Simore and New Zealand’s Plan of Action are early and commendable efforts. However, until recently no tool existed that comprehensively addressed the reporting burden States face, in particular the issues of reliable regular data collection across multiple Ministries and efficiently managing hundreds of overlapping human rights recommendations received at various times (not to mention the SDGs and other national development priorities). IMPACT OSS (Integrated Management and Planning of Actions Open Source Software) was borne out of the Pacific and designed as a user-friendly tool to address every aspect of the reporting burden and implementation challenges. Designed by human rights defenders in New Zealand and Samoa it is currently being further maintained and improved by the Impact Open Source Software Trust. The application is intended to be used by NMIRFs at a country level (or an individual Ministry or NHRI prior to the establishment of such an entity) and has a variety of features which allow it to manage all human rights recommendations, observations and obligations and the SDGs. 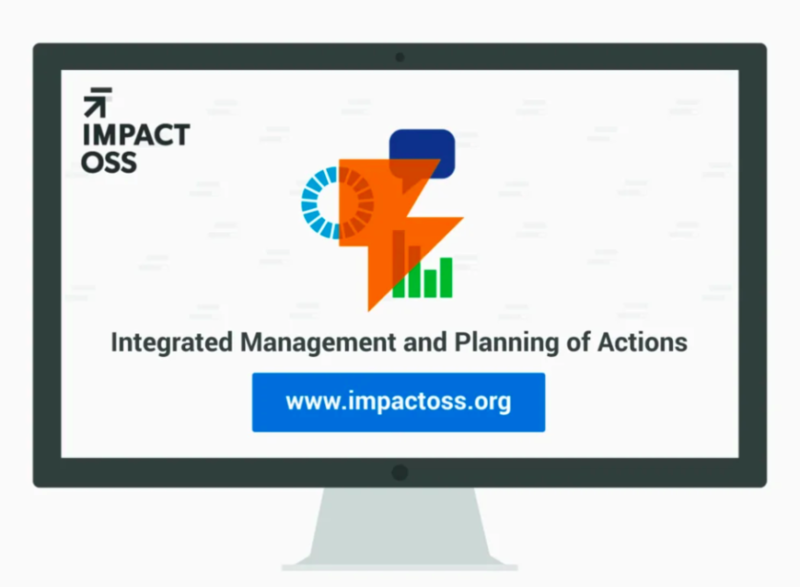 IMPACT OSS uses an advanced, but user-friendly, clustering process and helps States build a national implementation plan, identify implementation gaps and link all overlapping recommendations, the SDG targets and other development priorities. This means data is only entered once, but is tracked in all relevant areas, eliminating all duplication of efforts. Additionally, IMPACT OSS sends out automated email reminders directly to the individuals across all Ministries that hold the information for each specified indicator, removing the need for a person(s) to have to try to obtain that information at a later date. If the implementation update report is not uploaded (a four click process) the process has three inbuilt safe-guards to ensure data collection. These safe-guards are a combination of automated alerts and IMPACT OSS working in conjunction with the NMIRF. Whilst these safeguards are not a guarantee against non-entry of data they amount to significantly more than any other tool currently available and also mean that anyone can consult a live record of implementation progress simply by logging on to their national version of IMPACT OSS. This has two significant consequences – the first is that it allows government to easily and quickly address areas where implementation is falling behind and take corrective action. The second is that it facilitates greater transparency and democratic accountability and allows civil society and national institutions to better hold the State to account. Both of which contribute to the overall realisation of rights. Using IMPACT OSS effectively means the person responsible for the periodic report simply has to select the human rights mechanism they are reporting to and all of the required data will instantly be at their fingertips, organised thematically. They just have to write the narrative to accompany the data. A collaborative report writing and export feature is currently under development to make the process even easier. IMPACT OSS is an open source tool meaning the software is freely available for use by any State. Resources are required for deploying the tool, but for interested parties managed hosting and training is all offered by the Impact Open Source Software Trust, while developer and user guides are available for States wishing to use their own expertise.